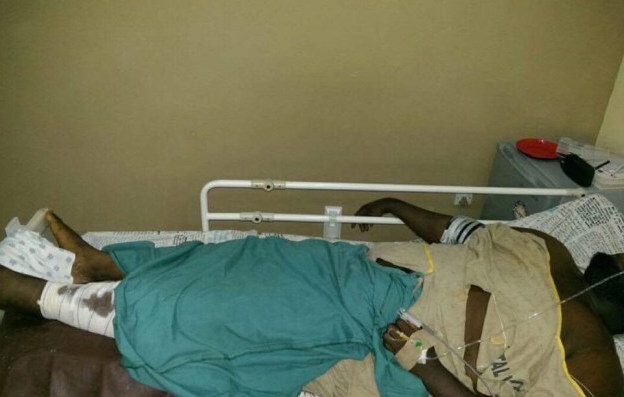 A Nigerian man, who sustained major injury while traveling with a God is Good Motors bus sometime in April 2016, has called out the transport service, after he was abandoned at the hospital. 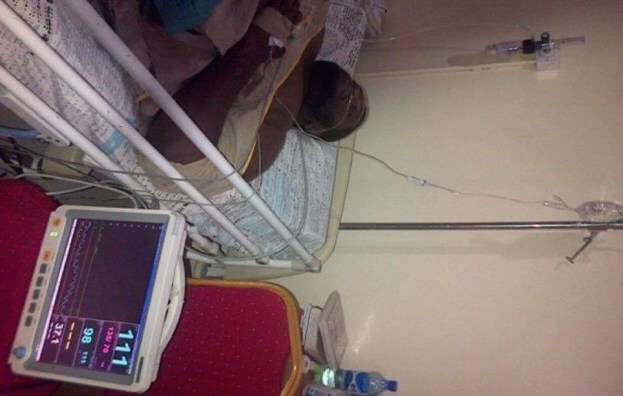 Paulcy Iwuala in a mail sent to YabaLeftOnline narrates how he was left to foot his bills after the bus he was traveling in had a head-on collision with a Peace Mass Transit bus. Iwuala says he suffered a ruptured knee. 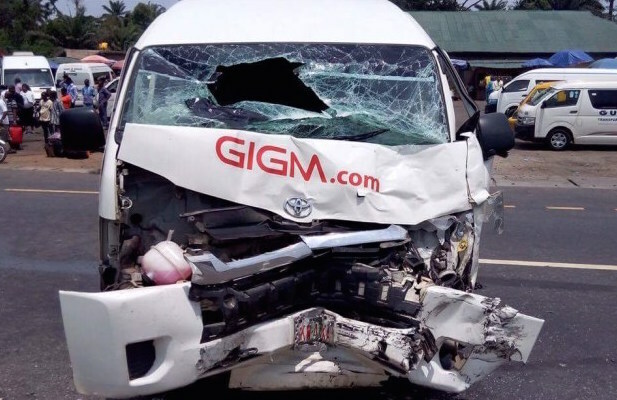 On April 2016, I was involved in a fatal accident in Ore. A head-to-head collision between God is Good (GIG) Toyota Hiace Bus and Peace Mass Transit bus. I was sitting in front of the car with the driver and watched two passengers die in front of me.I tried to force my way out of the car, which due to the impact of the crash I believed may soon be on fire. The door was jammed, and all my efforts to break the side screen and force my way out was futile. Fortunately, some pedestrians on the roadside jacked the door open and I fell out, with a knee that had been ruptured with multiple fractures, and with a pain that was clearly unspeakable.I was taken to FMC Ore by GIG management, where for 5 hours of excruciating pain no one attended to me. I had to call a DSS man, Raymond Nkemdirim, who was a personal friend, and through his mediation, the transport company moved me and the driver to the University of Benin Teaching Hospital (UBTH).Again, for close to 24 hours I was abandoned in the casualty ward of UBTH because GIG Motors wasn’t forthcoming with the money that was needed to move me to the surgery ward for operation.The doctors kept telling me that all they needed was for GIG Motors to pay 45,000 only so they can buy the anaesthesia and antibiotic drugs to be administered to me before the operation. The drugs were supposed to numb me; from my leg downwards.At any rate, the only other option was to use the General Anaesthesia machine, which was so scarily old, duck tapes were used to glue some of the pipes. They suggested that was the only other alternative if there was no money to buy those anaesthesia drugs. 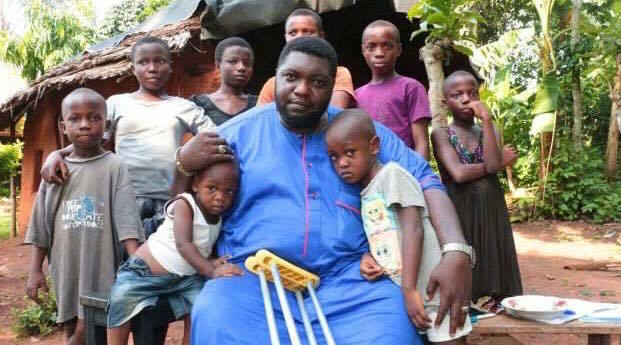 Eventually I became so fearful of ever going through that GA machine that I called on GIG Motors that I was going to Abuja for treatment.They decided to transport me to Abuja, but tried to offer me a single sit in the bus. Such brazen wickedness for a person of my size, not to mention that I was nursing a fractured knee which had to stay suspended to make the pain somewhat bearable. After minutes of argument they decided to give me an entire row of seat behind the driver. This driver however was so reckless on the road; that he made sure to jump into every pothole from Benin to Abuja.The driver dropped me at GIG Park in Utako, Abuja, contrary to the earlier agreement, which was to take me to Alliance Orthopaedic Hospital, Area 11. He said he was not asked to do that. I called my brother who swarmed the office with 3 Hilux vans full of policemen.After they threatened to seize their buses if they didn’t comply with the initial arrangement, they eventually took me to Alliance Orthopaedic Hospital. Afterwards, GIG Motors will continue to avoid any contact with me, and refuse every overture to partake in the financial aspect of the medical attention I received in the hospital.Their abandonment, and the trauma which they had caused me beginning from that fatal accident to the continued inhumane nonchalance to my situation has warranted my now calling them out on their wicked and heartless attitude. And I am prepared to seek redress in every legal way possible.Paulcy C. IwualaCEO and founder Genius eyes international hope for the hopeless.